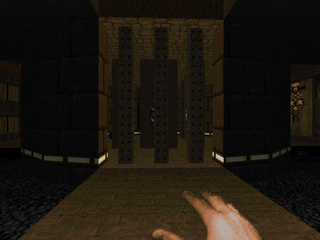 Virgil's Lead is the third canto in the Inferno series, a replacement for MAP03. In its barebones plot, Dante has managed to find Virgil after Crossing Acheron. Virgil agrees to guide you through the current waystation in Hell because its denizens are less than thrilled with his oratories. And, after all, you're the guy with the gun. The map itself is a marriage of Hellish green marble and dark brown techbase, using some bi-symmetry in its design, but Anderson betrays your expectations each time (unless you expect both sides of the base to vary it up a bit, in which case you'd be correct). It starts off in a neat marble chamber with a criss-crossing stair pattern which quickly spills into a large, central marble chamber loaded down with some circular columns. This of course leads to the main area, a techbase, whose central hub is an outdoor crossroads from which you can witness Anderson's starry night (also used in Klie's COMBINE). There's some nice lighting from the corner lamps, here. The level then turns to investigating three circular buildings bordering the edges of the techbase. 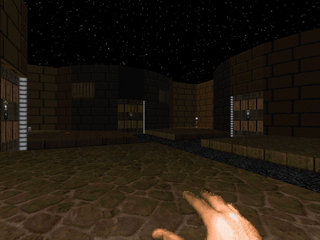 Each one has a neat little fight inside, and there are some surprises to be had in the hallways, including an almost rapid teleporter trap. After taking out a neutered arch-vile, you'll gain access to the final area, a gorgeous marble outdoors with a large pool of blood in the center. There are some potential wrinkles for the unwary, like an open-air pain elemental, and there are some mancubuses in the back that could be dangerous, but for whatever reason they seemed unusually docile. 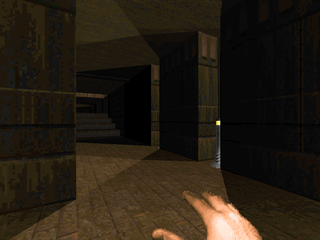 There's one last kicker where in the final room but you should be more than equipped to handle it. Detailing is adequate without being obtrusive and, best of all, the lighting is spectacular. Look at stuff like the torches just outside the exit room, or the lighted reliefs in the blood pool area, or even just the lamps posted in the hallways. It's great stuff and makes the map pop. Difficulty is, well, maybe a little tougher than Anderson's first two cantos, but despite his warning there's a megasphere as well as a soul sphere and combat armor to be found to extend the life of those medikits he has laying around. Some of the scenarios could have been dangerous, but the biggest shock I ever took was an arch-vile blast from being very careless. Virgil's Lead is a worthy addition to the Master Levels. 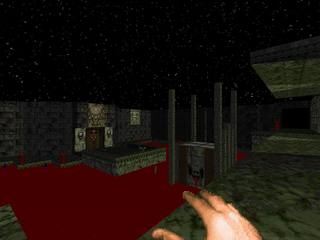 It looks great, even better than some of the id Doom II maps, and proceeds quite nicely from the first two cantos. While not difficult, it has enough unusual scenarios to keep you on your toes, creating an enjoyable experience. Finally, it's part of the works of one of Doom's earliest and most lauded PWAD authors. I highly recommend it, especially as part of the Inferno series. 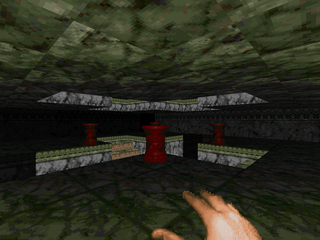 Great lighting, and Dr. Sleep is a damn good mapper, but this map, ay yi yi. There should be a warning label on a map that require's a secret to progress. It's not exactly obvious looking either, mappers should remember this is a run and gun game. I love clever stuff, but this is not an example. i do not recall having a problem with VIRGIL, unlike the micro-ledge in VESPERAS. I agree 100%. That first key was just plain dumb. Any map that has me running around shooting and pushing on every surface is flawed. But this was otherwise a beautiful map.